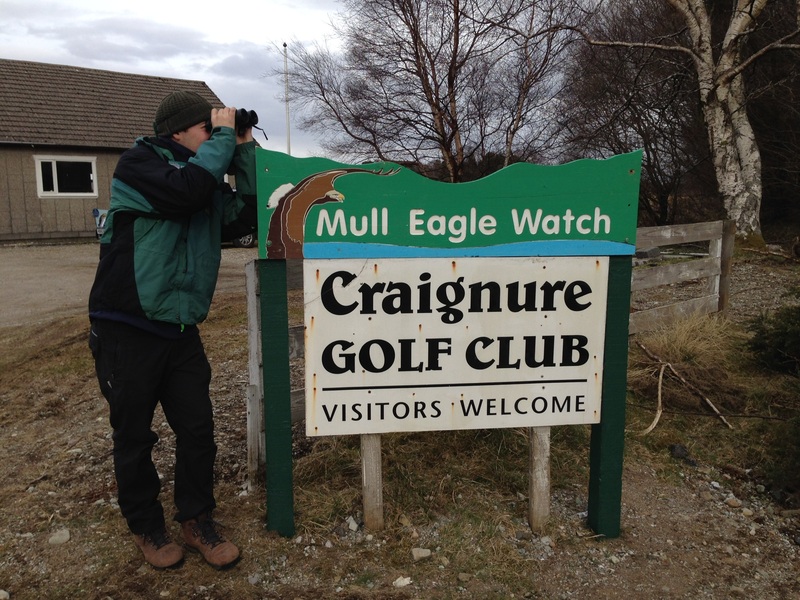 Mull Eagle Watch Welcome back to Mull Eagle Watch, 2018! I’m excited to be returning to the role of RSPB Community Information and Tourism Officer this summer and will be running the eagle nest tours alongside Cian Burke-Brown (pictured) who is the seasonal ranger for Mull and Iona Community Trust. 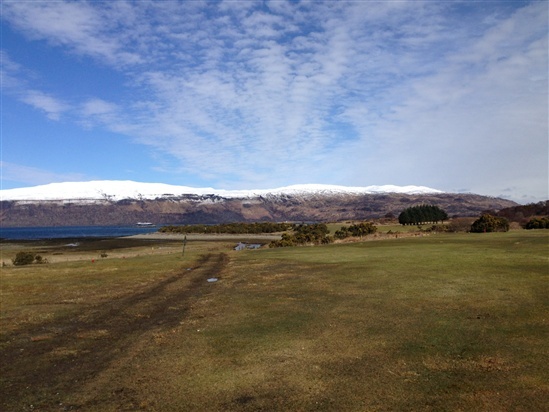 This year, we are being hosted by the wonderful Craignure Golf Club. A team of volunteers has been busy refurbishing the club in time for us opening and is even providing refreshments for golfers and our visitors to enjoy post-tour. It is also the place where Scalla and Anna call home. Son of Blondie – the female who hatched and fledged the first chick since the species was reintroduced in 1985. 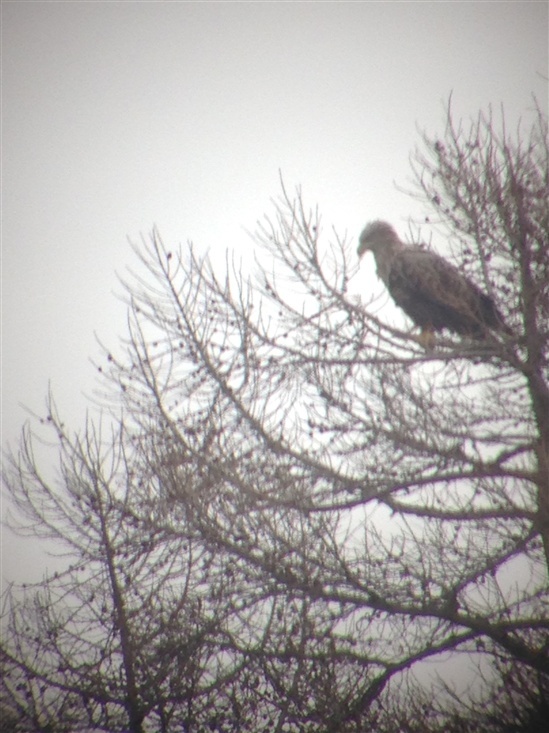 Younger brother to Frisa – one half of Skye and Frisa who were the stars of Springwatch and the first pair that Mull Eagle Watch followed. 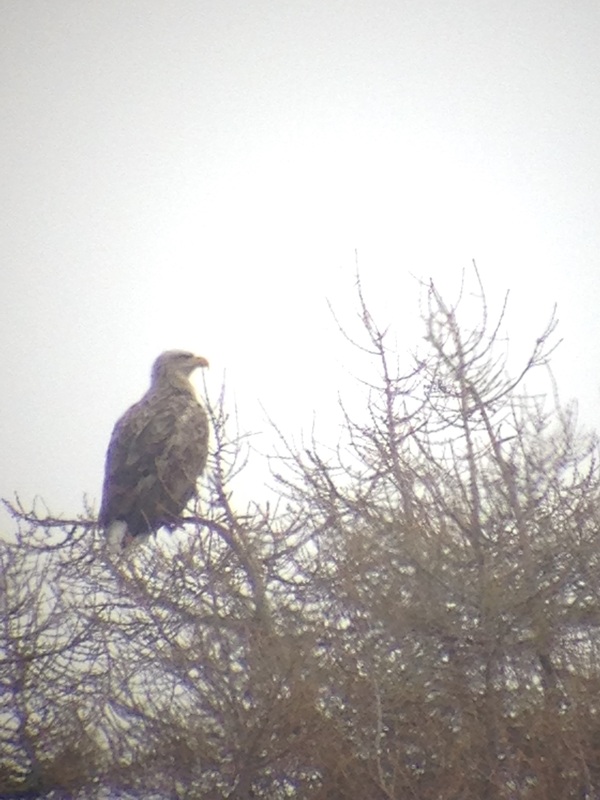 1996 nest brother to the (probably infertile) female, Grey L, who attempted to incubate goose eggs on Mull in 2017! Favourite food: fish and small children. We’re loving the Golf Club’s coastal habitat which is new to Mull Eagle Watch this year and the constant soundtrack of gulls and oystercatchers that comes with it. And we have the beautiful snow-capped mountains behind us to scan for goldies, hen harriers, ravens and the group of juveniles sea eagles that often give us a fly-past. We’ve seen lots of action already and there’s plenty more to come! To book on a tour, please call the VisitScotland Craignure iCentre on 01680 812556 or pop in when you arrive. Please inform of any mobility issues. Also, Debby Thorne is now running new tours of Star and Hope at West Ardhu (where we were based last year). So for another chance to see these magnificent birds, you can book to visit her at the iCentre too. Here's hoping these fantastic birds have a good season.